We offer you a small comfortable lodge or cottage with friendly people to look after you. Our lodge is located in a prime location in Knight Inlet allowing us easy access to world class Grizzly Bear watching up Knight Inlet and excellent whale watching near the mouth of the inlet and into Johnstone Strait. Our group sizes are small, creating a personal experience that larger lodges can not offer. After a full day viewing wildlife our guests all sit down together for dinner and share stories from the day. Choose your trip from late May through mid October. 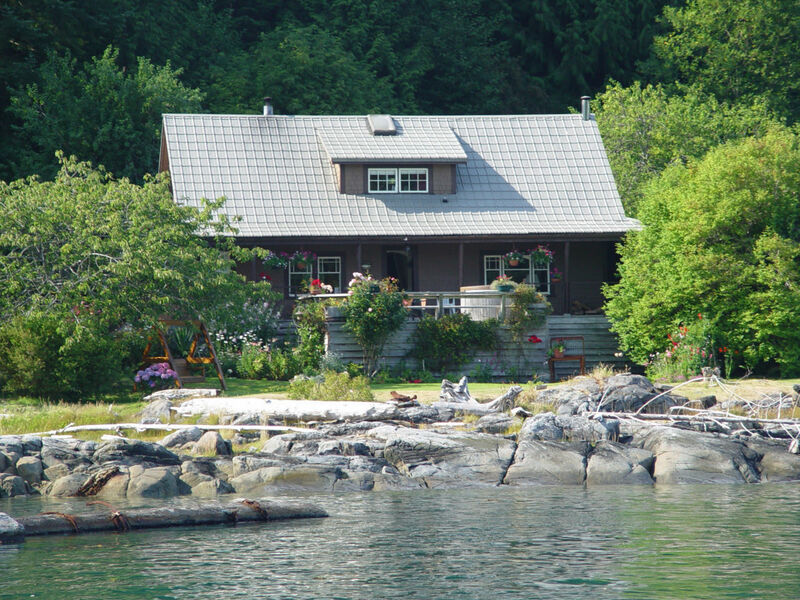 Minstrel Island, where our lodge is located, is a small island on the edge of Knight Inlet. 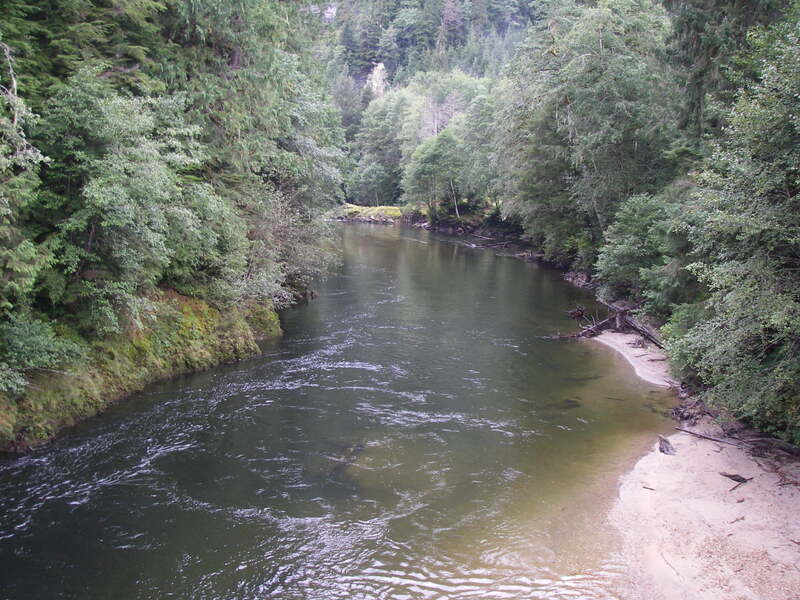 Not only does it have a colourful history but it is located perfectly for wildlife viewing – in the middle between the Grizzly river, our wild river and Johnstone Straits where the whales reside. Our lodge is accessible only by float plane or boat. 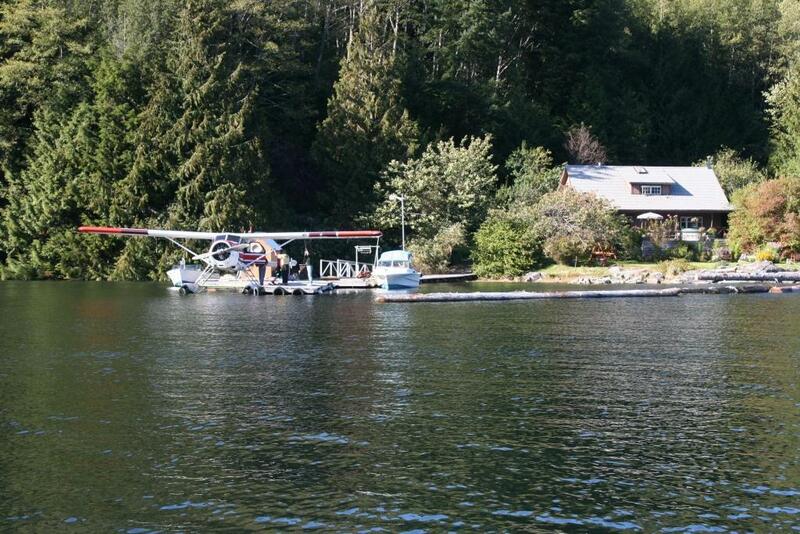 We fly all of our guests in from Campbell River by float plane. It is a short (half hour) flight with some great views along the way.See Location Map. We use safe 17 ft speedboats with 2 motors, VHF radio and retractable cover to get out of the rain. We also use a larger 19 ft speedboat for larger groups and families. We supply you with sufficient equipment with any package that you choose. Boots, Suits, Rain Gear, Cooler Boxes are available at our lodge when needed. Our guides average over 10 years of experience in the area and with a maximum of 4 guests per boat there is ample opportunity to have all of your questions answered. All of our boats and crew are Transport Canada certified. There’s just one thing, Don’t forget your camera! A camera with a zoom lens and LOTS of film or digital storage space will insure that you capture tons of memories! 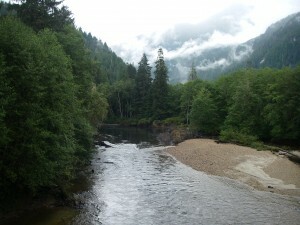 An adventure in BC’s Knight Inlet, on the Rain Forest Coast, that you will always remember. On the fifteen-minute walk to Rick’s cabin we spend some time on a decommissioned bridge (and that story you will have to hear from Rick) which provides views of the Kakweikan River. The first photo is looking up the river to the boat pool and the second down river to the bend where the cabin is located. Depending on the time of the year salmon will be spawning below the bridge while the bald eagles fly overhead.